Starting on June 1, 2016, Delta will fly five times a day between Denver and Los Angeles. Although this is an important nonstop route for Delta’s corporate clients, it’s also a great addition for those traveling for pleasure. 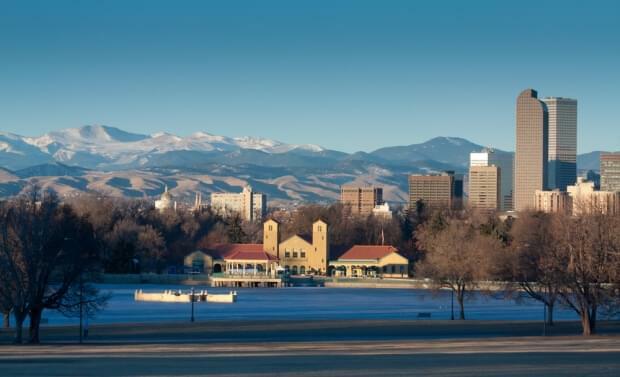 Denver’s ski slopes and Los Angeles’ sunny beaches are enough to entice visitors from either city. Lets talk winter getaways. Heading to Denver to hit the slopes is never a bad idea. It’s a gateway to prime skiing and resorts in the Rocky Mountains. While you’re in town, you can also check out the Denver Museum of Nature & Science and the Denver Zoo. Both are fun for visitors of all ages. Afterwards, consider heading down to Larimer Square to get a taste of the city’s culinary fare and local microbrews. 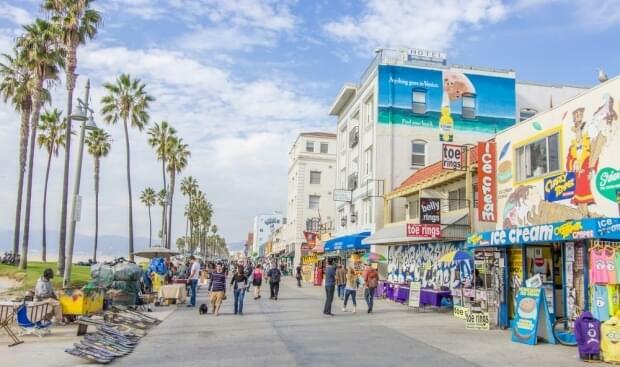 Of course Los Angeles has Hollywood, but don’t overlook Venice Beach. Its famous Ocean Front Walk offers eclectic locals, cafes, shops, art galleries and street entertainers. Don’t forget to grab some delicious food on the boardwalk. Economy round-trip tickets on this route cost 25,000 Delta SkyMiles. But if you want to go for business class, it will take 50,000 miles. The economy award price is comparable to Alaska Airlines, who also fly this route, but business class will run you 65,000 Alaska Mileage Plan miles. So if you’re going with a premium cabin, Delta’s a great option. If you don’t have enough SkyMiles handy, you could get the Gold Delta SkyMiles Credit Card. It comes with a 30,000-mile sign-up bonus. That’s enough for a domestic roundtrip. Or, if you have miles with one of Delta’s many partners, such as Air France and Virgin Atlantic, you can use those miles to book this route. Delta’s been expanding its reach on the West Coast recently, adding both domestic and international flights. This new route means that Denver residents now have access to one-stop connecting service to some very sweet international destinations, including Sydney and Brisbane. There is more growth in store for the airline in Los Angeles. It will be adding service between Los Angeles and San Francisco on its Boeing 717 shuttles. Delta is also upgrading its service from Los Angeles to New York and Seattle, flying ten flights a day from both hubs, and its adding a third daily flight to Boston.